Marine Equipment to personal protection in Panama – everything in our marine protection range has an inherent buoyancy of greater than 50 newtons and is designed to protect against the onset of cold shock and hypothermia. When it comes to the ocean, there is very little we know. Despite all our advancement, the ocean remains as unpredictable and mysterious as it was decades ago. Although there is nothing we can do about the nature of the sea, we do have top of the range buoyancy and flotation suits to help you should the worst happen. An immersion suit is a body covering suit that is worn specifically for the purpose of remaining afloat and surviving during emergencies in high seas. This suit is therefore also known as a survival suit or a rescue suit. 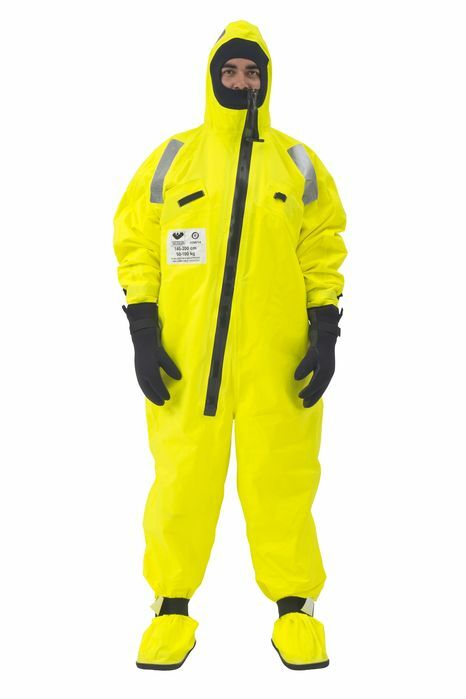 In today’s times, an immersion suit is one of the most important necessities on ships and oil rigs, considering the protection needed from the hazards of water. Immersion suits are generally made of neoprene, a type of rubber that is completely waterproof and has an ability to withstand extreme temperatures of water and fire. The immersion suit fits the person’s body without exposing any part to the water. It also has a protective hood to cover the head and comes along with protective gloves. Our comprehensive range of VIKING YouSafeTM SOLAS and CE approved lifejackets combine performance and comfort with maximum personal protection at sea. Choose from a variety of models, buoyancy options, inflation systems and feature combinations suitable for different applications – all crafted to perform in demanding maritime and offshore environments. While our VIKING YouSafeTM foam lifejackets provide intuitive donning and great protection in an emergency – along with easy repacking and storage when not in use, our inflatable models promise second to none safety performance, ergonomic comfort and freedom of movement during extended wear. VIKING YouSafeTM inflatable lifejackets apply a modular design philosophy that includes a contemporary ‘fitted’ look, striking the perfect balance between protection, design elements and performance enhancing features.